Check out “Aria Trista” now featured at Artworks of Mary E. Hutchinson, the digital catalogue I curate. Hutchinson’s partner, Joanna Lanza, served as the model for this early painting (ca. 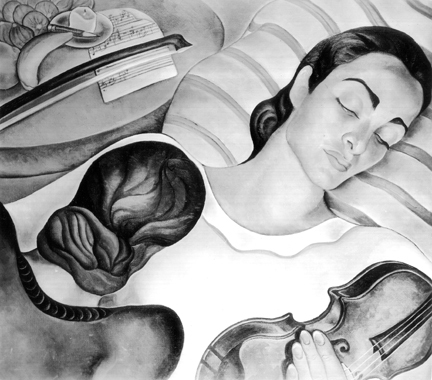 1931), and the composition is similar to the portrait of “Joanna [with pillow]”. Hutchinson exhibited “Aria Trista” numerous times in New York, and also in Atlanta as part of her large summer solo show at the High Museum of Art in 1932. She appears to have sold it after her ca. 1938-39 retrospective exhibition staged at the Barbizon Hotel for Women. The location of the painting is currently unknown. « Recently Found Hutchinson Painting! You are currently reading Mary E. Hutchinson’s “Aria Trista” at Jae Turner.